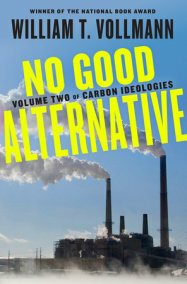 Carbon Ideologies is a two-volume work by William T. Vollmann about energy production and the human actions that have led to global warming. 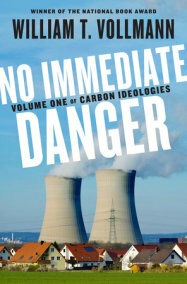 In Volume I, No Immediate Danger, Vollmann lays out the many causes of climate change, and then examines to what extent nuclear power might satisfy energy demand by recounting multiple visits he made over the course of seven years to the contaminated zones and ghost towns of Fukushima, Japan, beginning shortly after the tsunami and the reactor meltdowns of 2011. In Volume II, No Good Alternative, Vollmann turns to an examination of coal mining and oil and natural gas production, in investigative journeys that take him from West Virginia, Kentucky and Colorado to Bangladesh, Mexico and the United Arab Emirates.